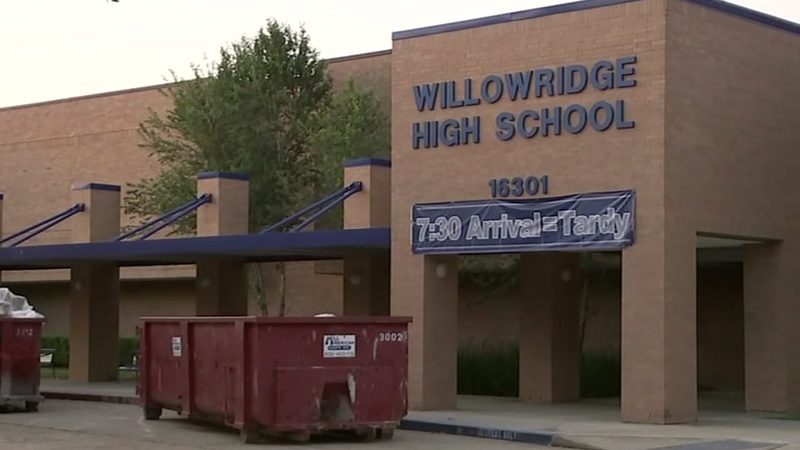 MISSOURI CITY, Texas (KTRK) -- Community and faith leaders expressed their support for Willowridge High School students who are preparing to take classes away from their home campus to start the school year. An event Friday involved various lawmakers as well as interfaith leaders. They are all getting behind the more than 1,460 Willowridge students who will temporarily take classes at Marshall High School. Willowridge students are being shut out of their halls, lockers and classrooms due to mold found on campus. The growth was so extensive, staff materials and supplies had to be discarded. Since the start of the mold cleanup, fundraisers involving other high schools have taken place to help reclaim those supplies. In a collective statement, the attendees of Friday's event are banding together not just for Willowridge students, but also the staff and pupils at Marshall. Students won't be back at Willowridge until Sept. 15.